Puerto Rican teachers pepper sprayed protesting school closings | Fight Back! San Juan, Puerto Rico - On April 27, police pepper sprayed teachers in a protest led by the Puerto Rican Teachers Federation (FMPR) outside the Department of Education. The teachers were protesting the government’s plan to close hundreds of public schools as part of a massive ‘education reform’ plan to privatize public education. The Puerto Rican Teachers Federation, along with the Broad Front in Defense of Public Education (FADEP) is not letting the police attack stop their organizing to defend public education. 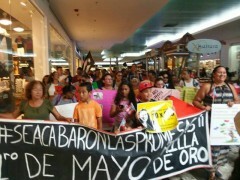 They announced that there will not be classes in Puerto Rico’s schools on May 1, International Workers Day, because teachers are going on strike. 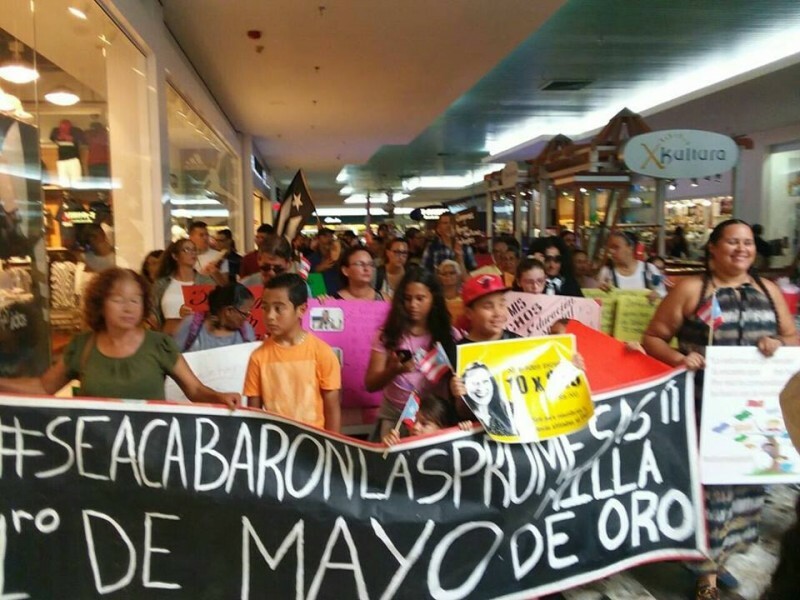 Teachers and school communities across Puerto Rico will converge in San Juan to march from the Department of Education to the ‘Milla de Oro’.